Living Lord Bhairab in his chariot observing the second day of Indra Jatra also known as Yanya Punhi amongst local newar denizens. 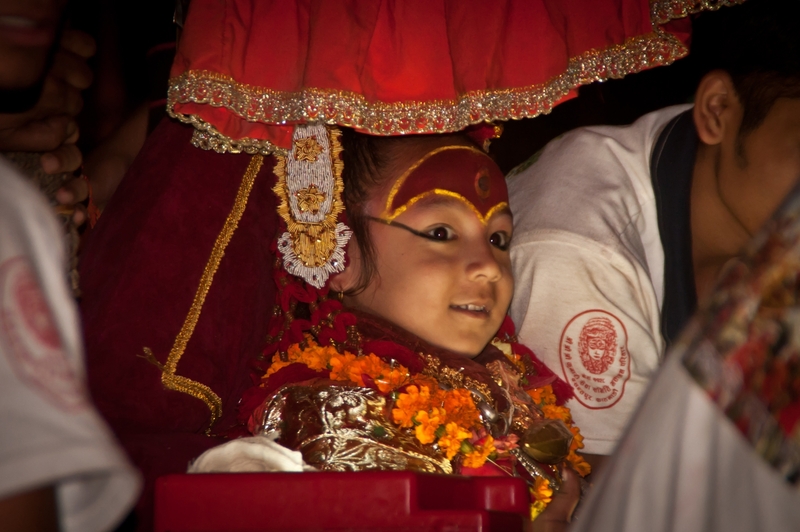 The festival is one of the most ritual festivals of Newar community in Kathmandu. Second day of Kumari Jatra (Indra jatra) which include the chariot procession of living deities Ganesha, Bhairab and Kumari and starts from Basantapur, Pyafal, Naradevi, Tengal, Bangemuda, Bhedasingh, Indrachowk, Hanuman Dhoka, and back to Basantapur .The festival is celebrated for 8 days in different ancient parts of Kathmandu valley.